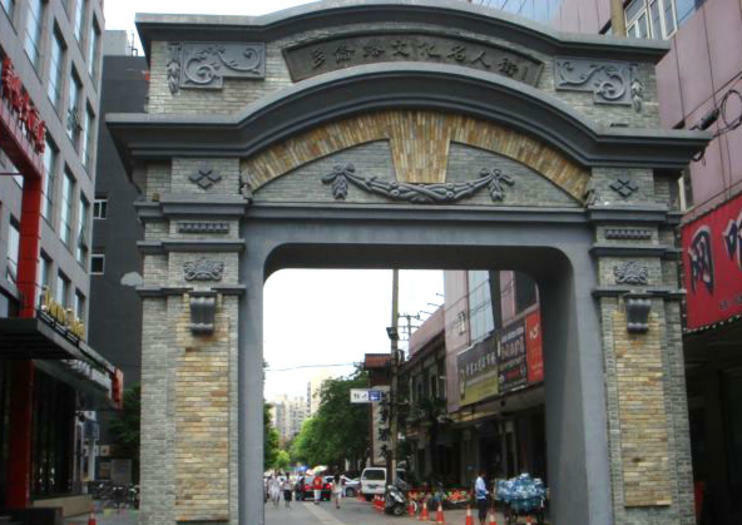 Duolun Road, in the Hongkou District, was known as the cultural and literary center of Shanghai in the early 20th century, when a number of famous Chinese writers called it home. Restored and reopened in 1998, today it’s a pedestrian street filled with museums, galleries, studios, antique shops, teahouses, and cafes. Full of historic buildings that have been restored, there’s much to see on the half-mile-long (0.8 kilometer) Duolun Road. Top attractions include the Duolun Museum of Modern Art, the League of Leftist Writers Museum, Hong De Temple (Great Virtue Christian Church), and the 60-foot-tall (18.5-meter-tall) Xi Shi Zhong Lou bell tower. Browse the many galleries and shops, then take a break at the Old Film Café, which plays old Chinese movies from the 1920s and ‘30s. It’s best to experience Duolun Road on foot or opt for a bike tour that includes other top Shanghai attractions such as the Bund, Yuyuan Garden, and Nanjing Road. Duolun Road isn’t a top tourist attraction, but it will appeal to those with an interest in Chinese architecture, art, and literature. Duolun Road itself is free to visit, but some of the attractions, including museums, charge an entrance fee. This is a great place to pick up antiques, books, art, and Mao-related memorabilia. Duolun Road is located in the Hongkou District. By metro, take Line 3 to Dongbaoxing Road Station (Exit 1) and walk northwest, or Line 4 or Line 10 to Hailun Road Station (Exit 5) and walk west. By bus, take bus nos. 18, 21, 52, 318, or 939 and get off at Luxun Gongyuan (Luxun Park) Station. Duolun Road is all day, every day. Both the Duolun Museum of Modern Art and the League of Left Wing Writers museum are closed on Mondays; if you’re interested in these museums, time their visit accordingly. In the 1930s, Duolun Road was home to a number of famous Chinese writers, including Guo Moruo, Mao Dun, Ding Lin, and Lu Xu, many of whom were part of the League of Leftist Writers. You can find out more about them and their works at the League of Leftist Writers Museum; there are also life-size bronze statues of a number of these writers along Duolun Road.